Super Bowl weekend in Atlanta was on fire. Nearly a million people reportedly flocked to the city for parties day and night, game watch bashes, and seats inside the big game. We were right there to take it all in, popping into some of the hottest bashes in the city. 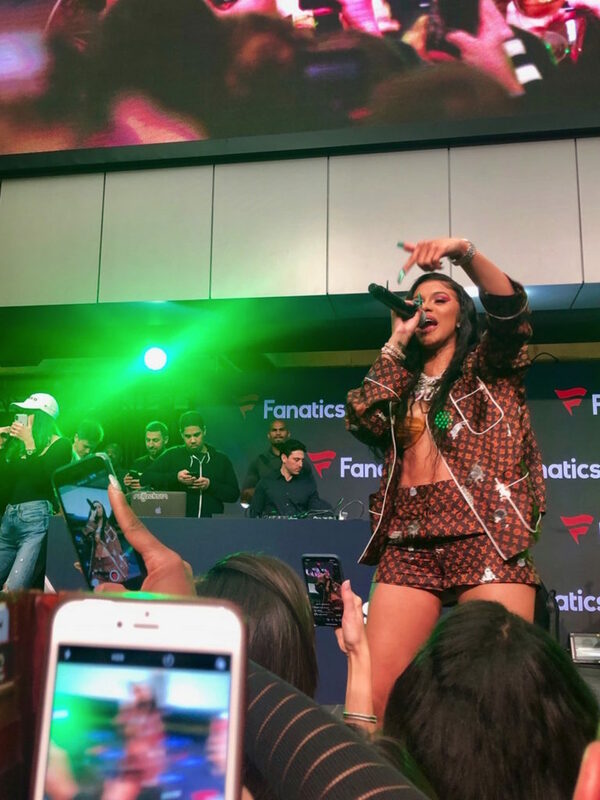 From watching Robert Kraft dance with Cardi B at the Fanatics day party to dancing the nights away at Tao’s pop-up club, and taking in Lil’ Wayne’s performance at the Sports Illustrated Saturday Night Lights bash, we went non-stop during the four-day weekend to bring you all of the inside details. 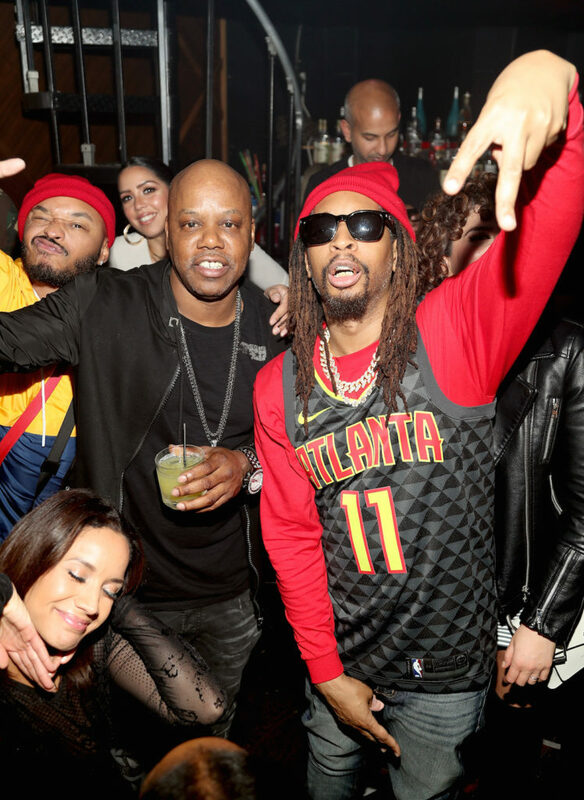 Take a peek at our fave highlights from where the stars partied Super Bowl weekend! 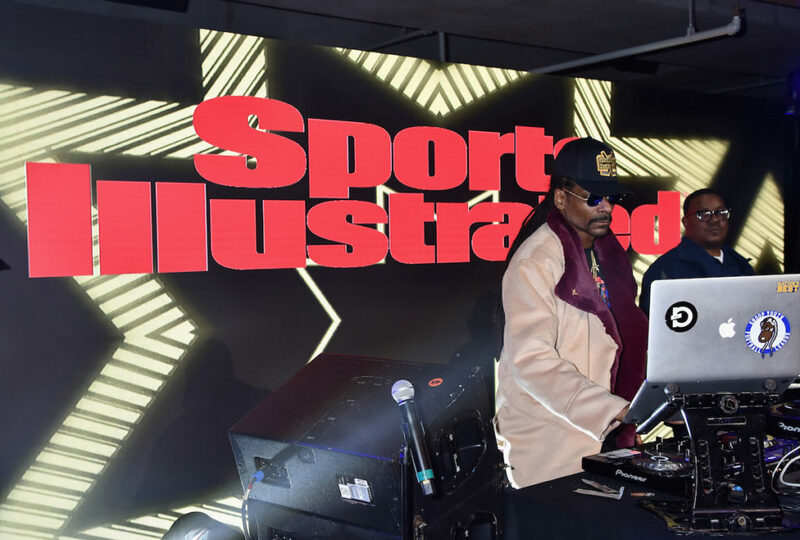 Sports Illustrated’s Saturday Night Lights Bash: After run-ins at Coachella and a ton of Levi’s bashes in Los Angeles, Snoop Dogg has become one our fave DJs. So, we were excited to see him on stage once again, getting the party started at this invite-only, celeb-packed bash. The rapper cranked out hip hop hits for party goers sipping Bacardi cocktails from the open bar. We grabbed ours from a secret bar backstage, and then slid around to the roped-off VIP middle section and partied in a sea of white leather booths. 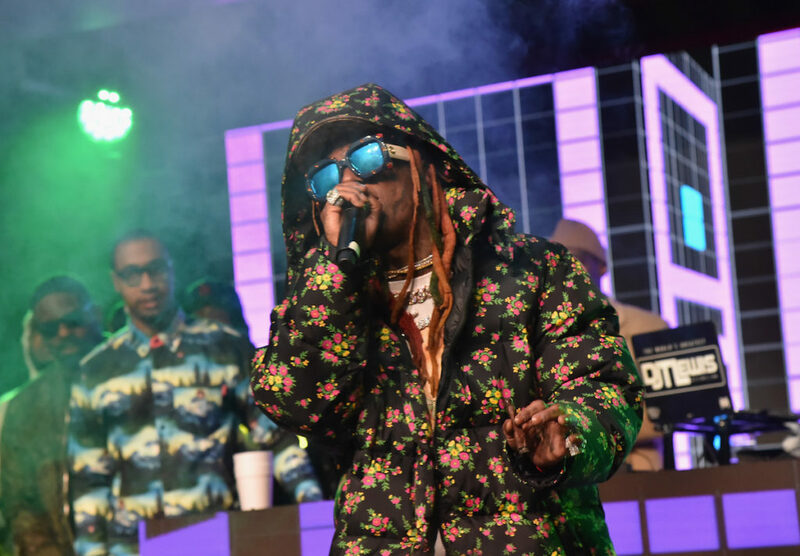 The fete was supposed to end at 1 a.m., but just as we started to wonder when Lil’ Wayne would pop on stage to perform, Lil Tunechi bursted out on stage close to the fete’s end time in an army fatigue coat, a hat pulled low and shades, and kicked things off with “If I Die Today” and more of his hits. As for the attendees, Diplo, Flo Rida, Will.I.Am., Da Brat, Lil Jon, and more were all in the mix. And the fun only cranked up from there. On Friday, Owen’s Craft Mixers kicked off the night with a pre-game party, complete with big, shareable cooler cocktails. 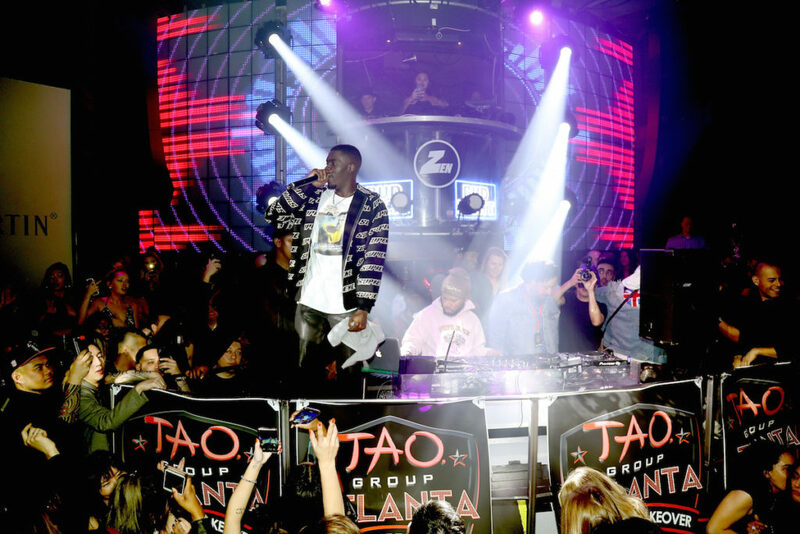 As the night went on the nightclub came to life, with DJ Vice spinning hits and Sheck Wes performing “Mo Bamba” as Travis Scott, Guy Fieri, and Jeffrey Dean Morgan hung out at the bash. Saturday, Chantel Jeffries and DJ Spade spun hits from the DJ Booth, and Rae Sremmurd performed “No Type”, “Black Beatles”, and “Powerglide”. The group also poured up bottles of Avion Reserva 44 with guests below the stage. Meanwhile, Jon Bon Jovi toasted with Remy Martin cocktails and Whispering Angel champagne with friends, and Power star Rotimi clanked Tequila Avion cocktails. Fanatics Day Party: This was one of our fave events of the weekend, and it kicked off before nightfall. 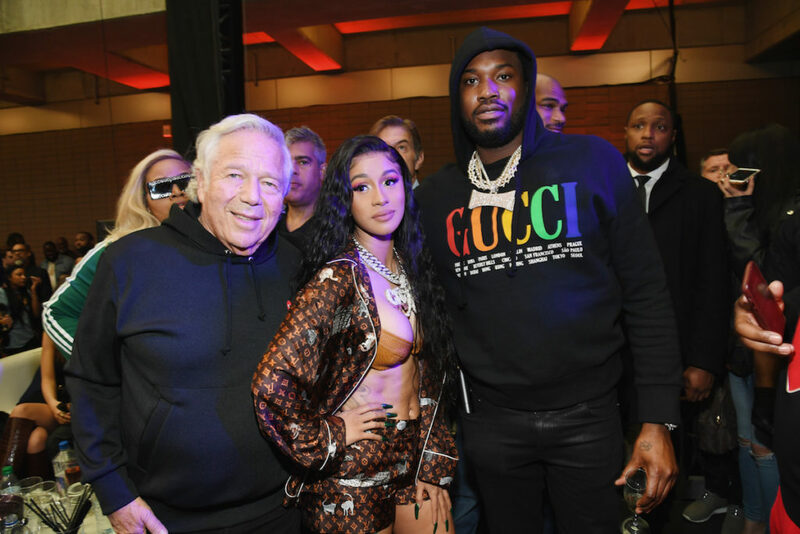 Held at the College Hall of Fame, the star-studded event started with mixing and mingling over food and cocktails, and ended with a performance by Cardi B and Meek Mill. Patriots owner Robert Kraft even got in on the fun and danced on stage with Cardi, with moves so intense (he almost backed up into her) that clips of it went viral. Take a peek at our full post on it – and Meek’s hilarious announcement, here. 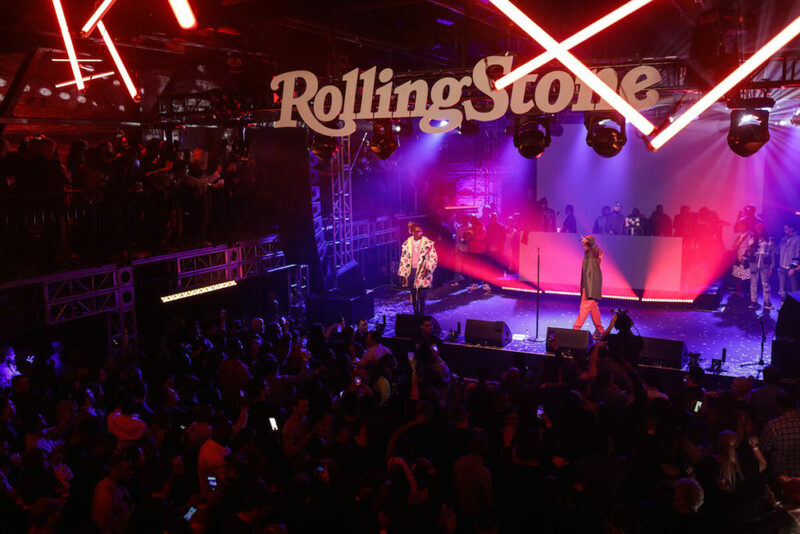 Rolling Stone Live: The famous mag took over the Goat Farm Art Center by Skylight for an unforgettable pre-Super Bowl night, presented by Mercedes-Benz and in partnership with LDV Hospitality. 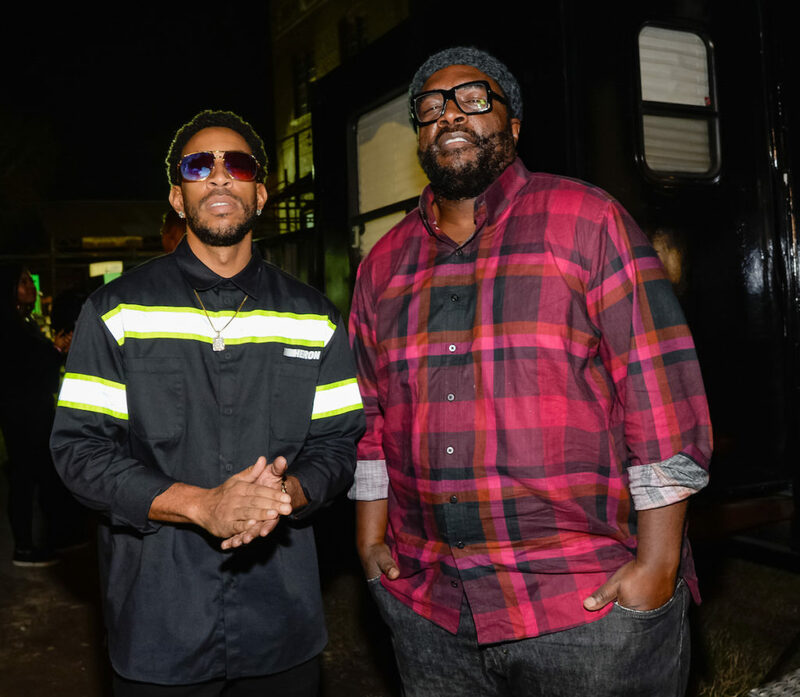 One of our fave DJs, Questlove, DJed the bash, and Ludacris, Young Thug, Gunna and Lil Keed all hit the neon-lit, Rolling Stone-emblazoned stage. 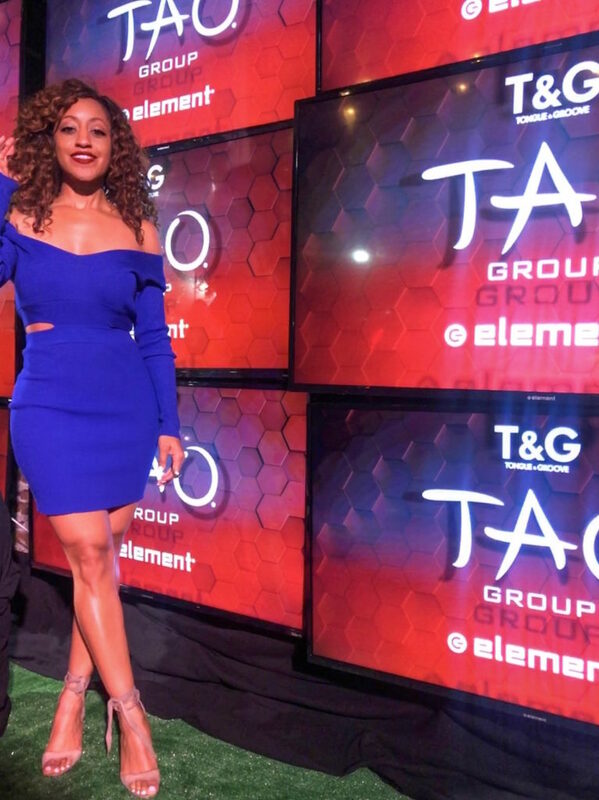 As the bash went on, VIPs like Taran Killam, Brian White, and several Housewives stars – Kenya Moore, Nene Leakes, Cynthia Bailey and more – packed the venue. Attendees munched on small bites like crab cakes and meatballs and toasted cocktails near the dance floor as they partied under the glow of a disco ball. 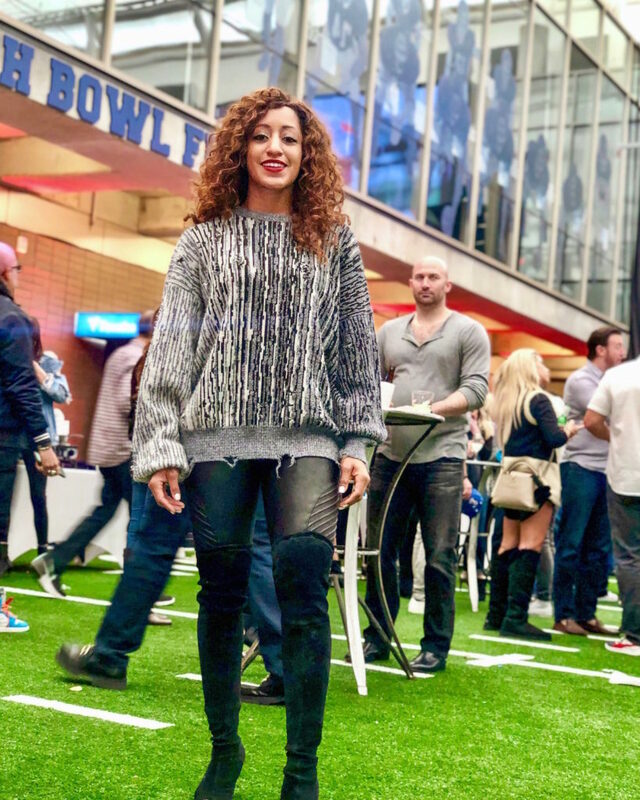 Bud Light Super Bowl Live Cardi B and Bruno Mars Concert: Because we can’t really get enough of Cardi B, we headed to the rapper’s show with Bruno Mars just Saturday just hours after we saw her perform on the Fanatics stage. Cardi packed in a lot every day she was in Atlanta, so we were surprised she wasn’t tired. Instead, she hit the stage like a champ with a fierce energy, gyrating her hips and twerking around as she performed her hits like “Money” and “Drip”. After a brief break, Bruno popped out and kept concertgoers on their feet with his performances of “24K Magic”, “Finesse”, and more. StubHub Annual Game-Day Fan Event: ATL Tailgate: “This is really cool,” we kept saying as we walked around State Farm arena. After picking up our laveliers with drink tickets inside, we entered into a sea of free grub and comped wine and beer (thanks to our drink tickets). 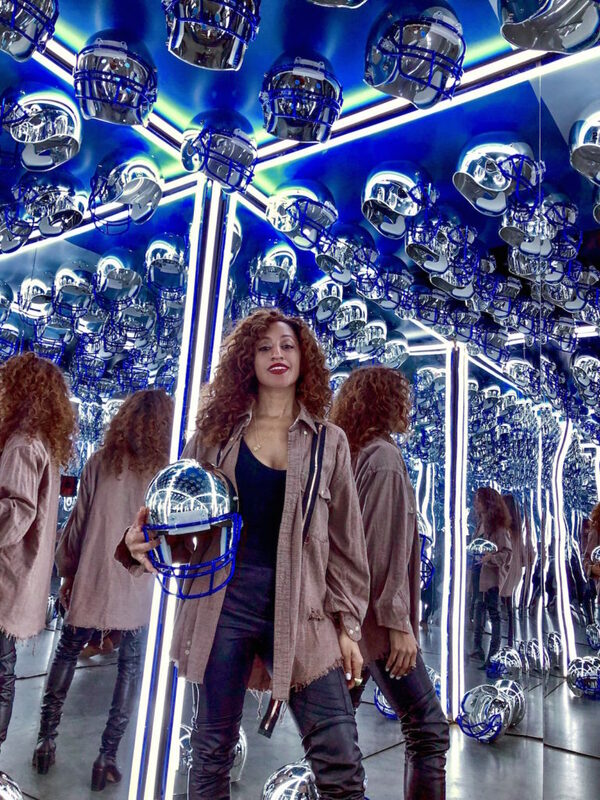 After munching on hot wings, pizza, and brisket sliders, we toasted to game day with rose’ and headed down to the floor, where we hopped into the mirrored photo booth and posed with metallic football helmets. Meanwhile, other tailgaters played life size beer pong, and tossed a football on a makeshift field with NFL greats like Mark Brunell.